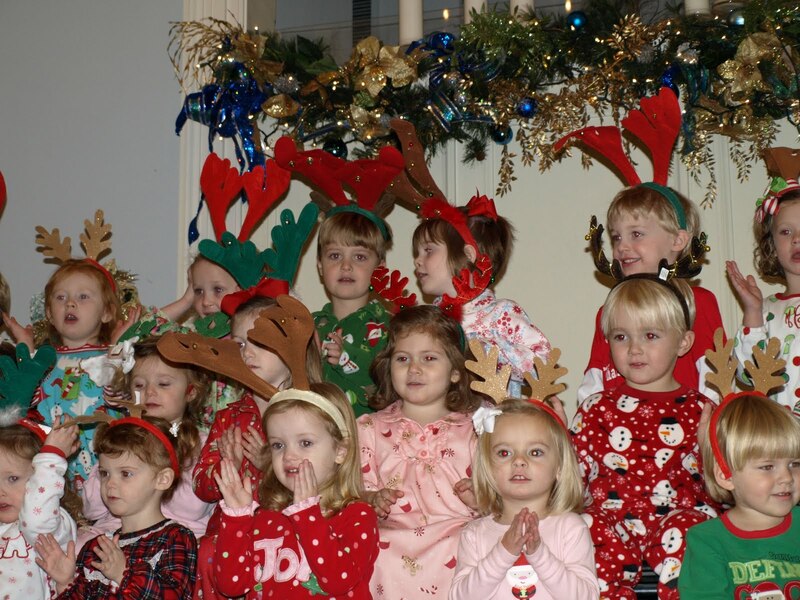 The week before Christmas, Seth had his preschool Christmas program. 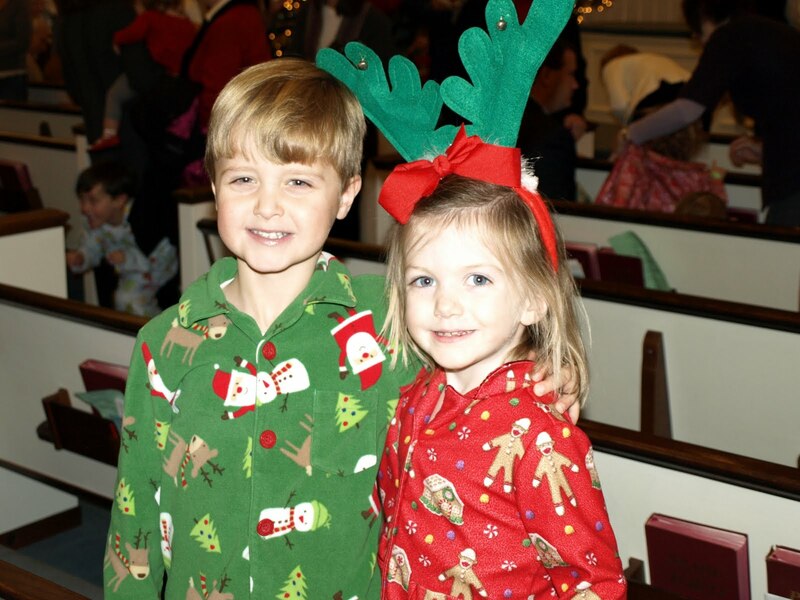 The kids love wearing their Christmas pajamas to school for the program. Seth has been practicing his songs for weeks. He was very excited to be on stage and sing! My mom and Zach’s mom were able to come to the program and that was a big help with Ethan. He is quite a handful these days. He did enjoy watching the kids sing and was pretty good during the program. It was a very sweet program. Seth is on the top row in the middle (I forgot to put on my zoom lens). Seth and his good buddy, Ansley. They love each other! The next day Carter had his class Christmas party at school. 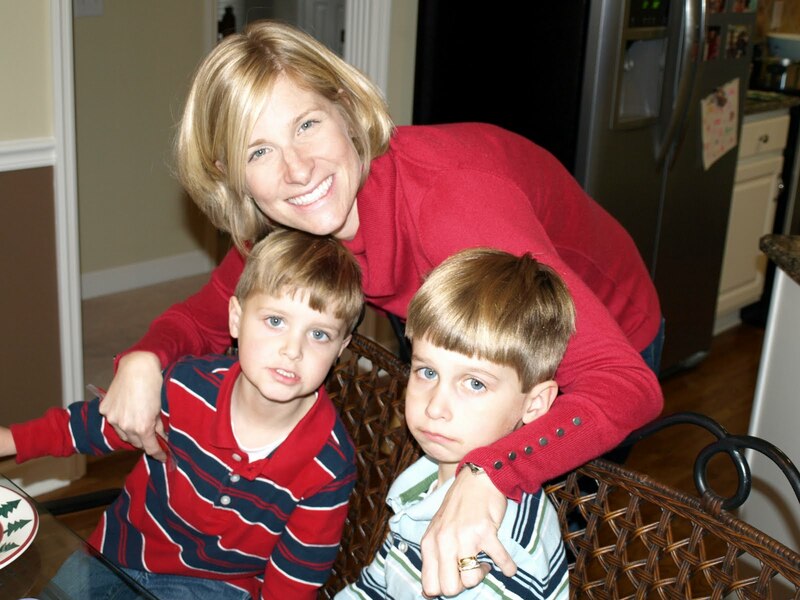 Mom stayed in town an extra day to keep Seth and Ethan (siblings are not allowed at school parties). Thank you, Mom! 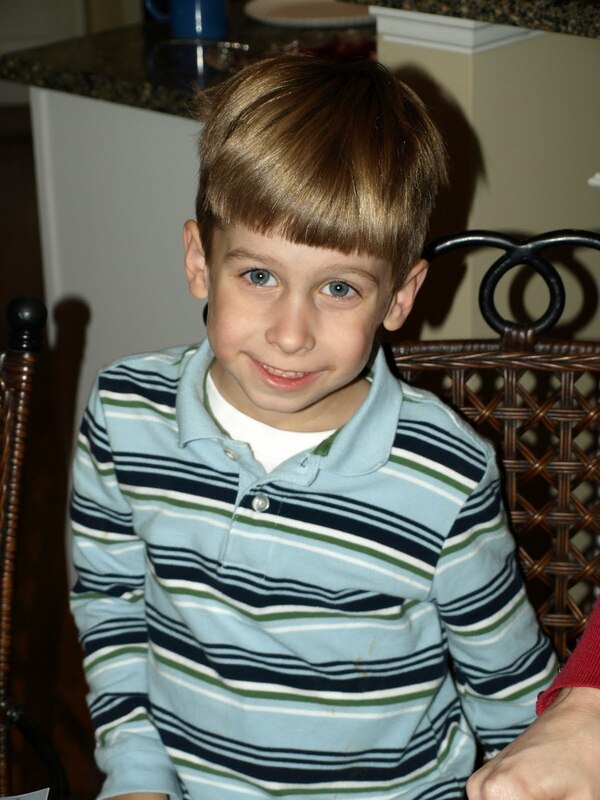 Carter had so much fun at the party and was especially happy that he got to leave school once the party ended. He does enjoy school, but is always ready for a day off. 🙂 I forgot to take my camera, so I don’t have any pictures of this event. The Saturday before Christmas we went to Hendersonville to celebrate Christmas with Zach’s parents. We had a great day together! 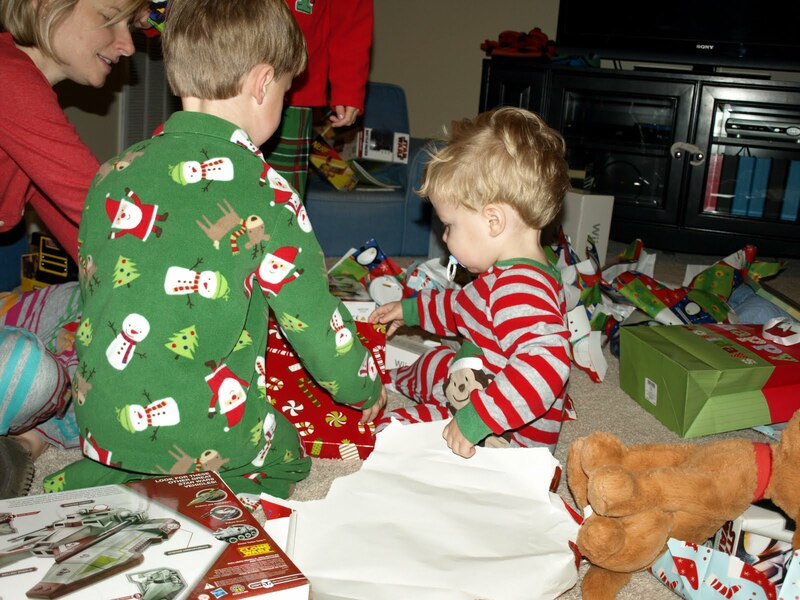 The boys had so much fun opening all their presents and then playing with everything. Carter and Seth both got Star Wars lego sets. I’m not sure who enjoyed putting them together more – Zach or the boys. 🙂 We stayed all day and left after dinner. All the boys slept on the way home. 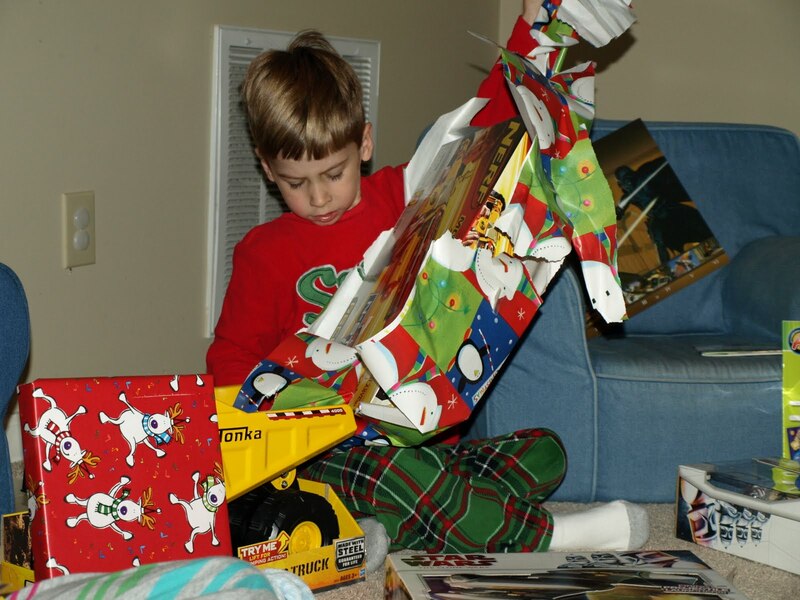 Ethan got the hang of opening presents quickly. He loved tearing the paper! Seth wasn’t quite himself that day. He stayed in my lap most of the day. 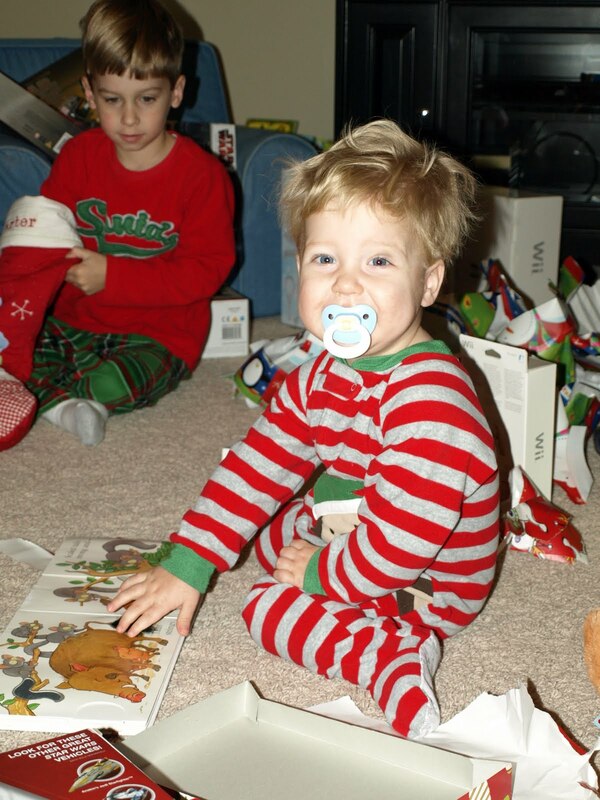 However, he loved opening his presents and playing with his new toys. 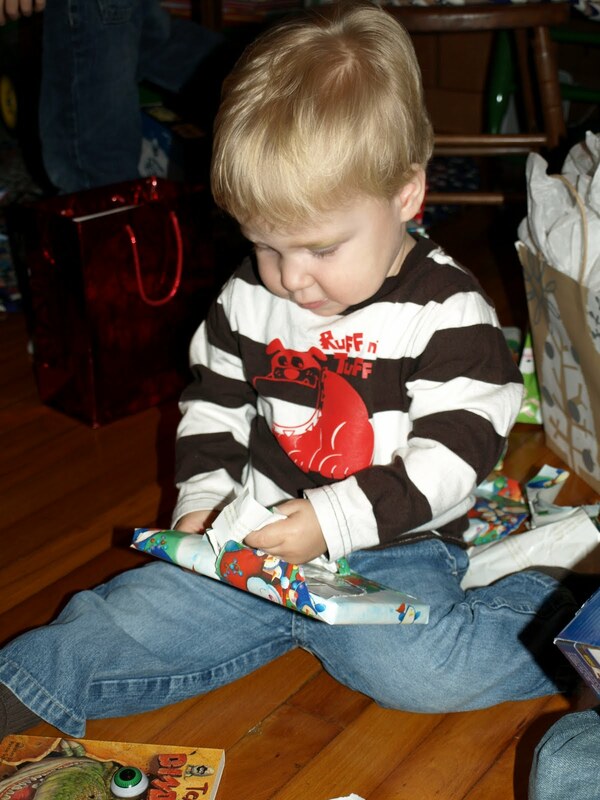 Carter opening up his Star Wars lego set. He was very excited! 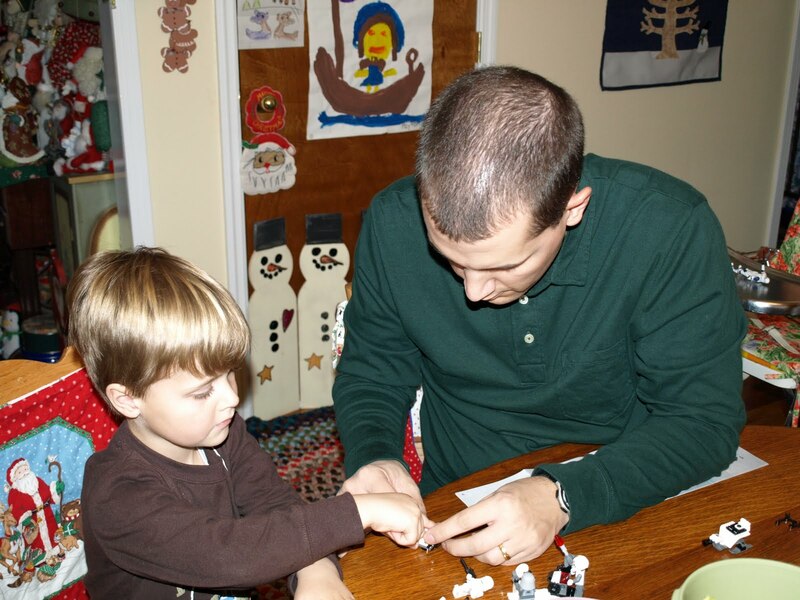 Seth and Daddy putting together his lego set. On Christmas Eve, we spent the day with my family. Mom fixed a great lunch and we all had a few more presents to open. 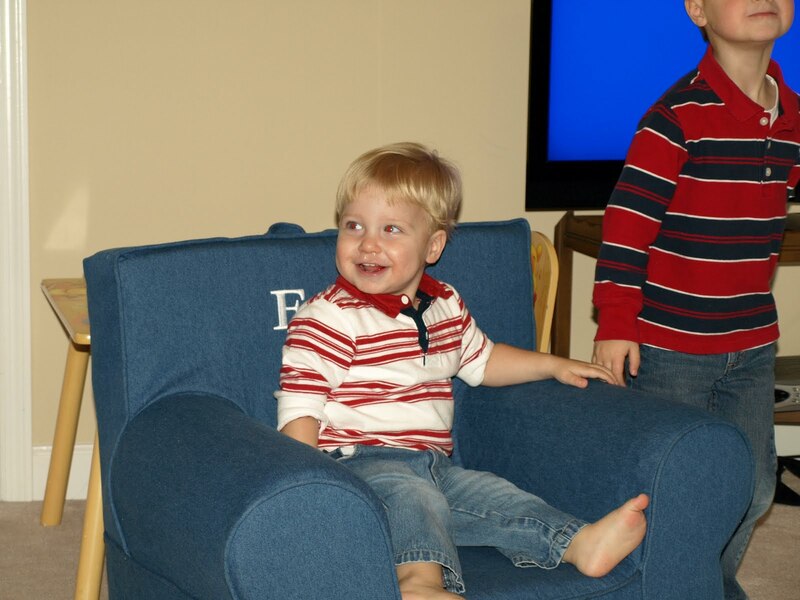 Carter was thrilled with his snow globe, Seth was excited about his battle zhu-zhu pets, and Ethan loved his new, big chair. 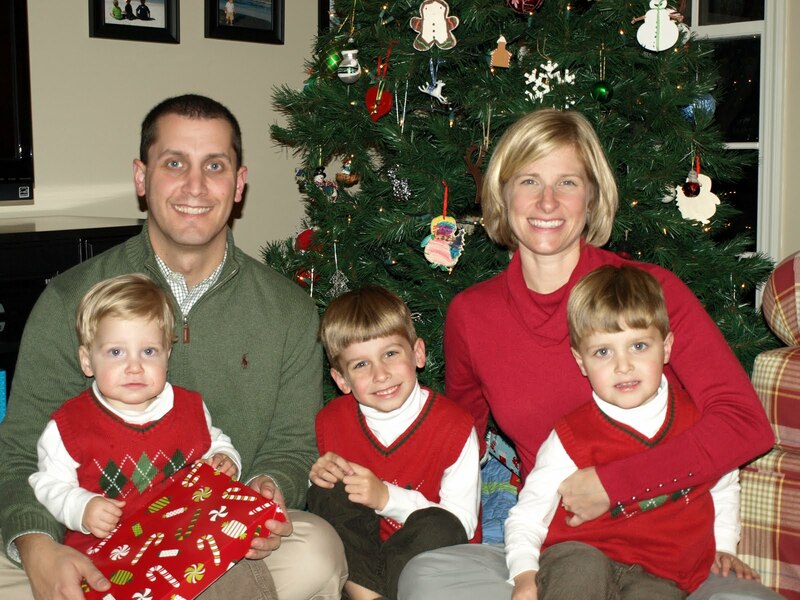 Our entire family went to the Christmas Eve service at church that night. This is one of my favorite traditions. I love the magic of that night. 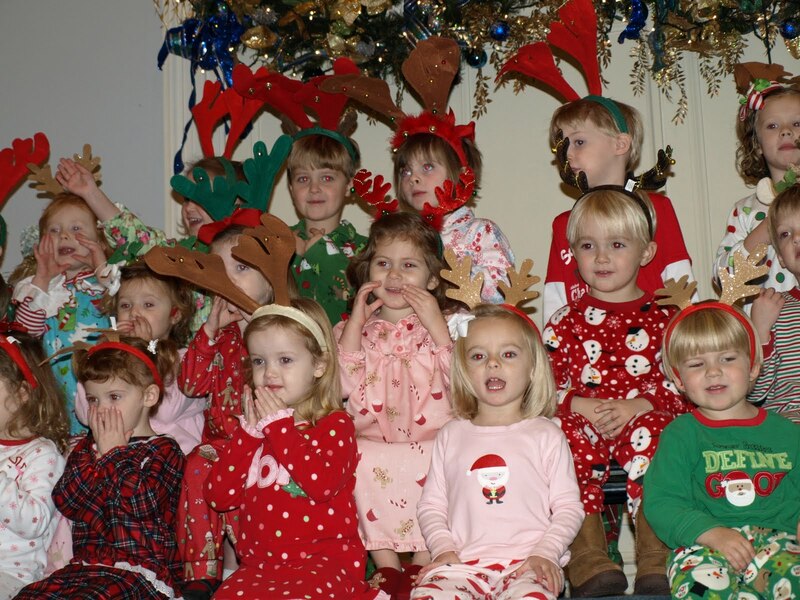 This year was extra special because Carter participated by singing Joy to the World with several of his friends. Ethan in his new chair. 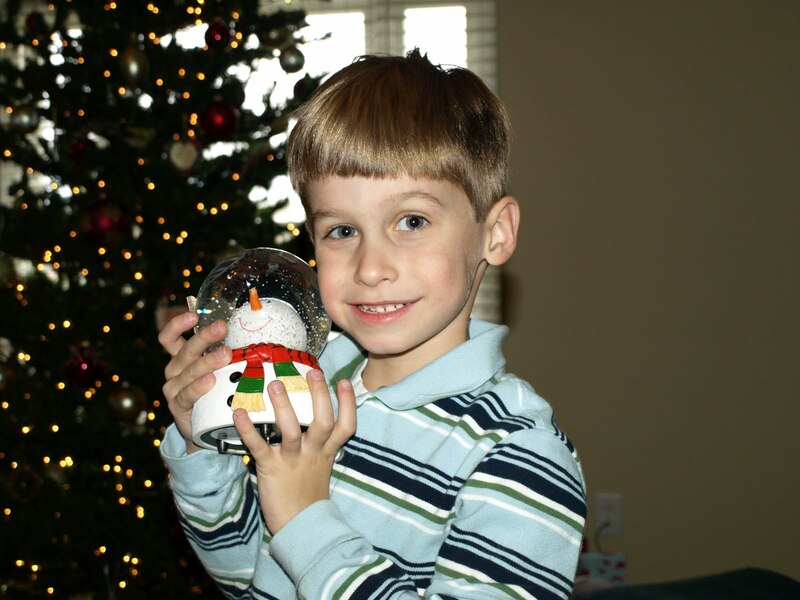 Carter and his snow globe. 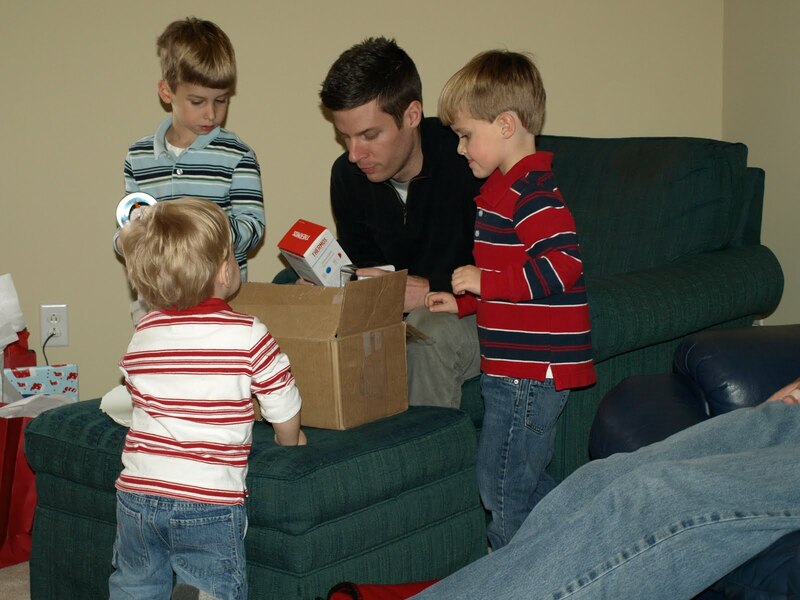 All the boys helping Uncle Craig open his present. 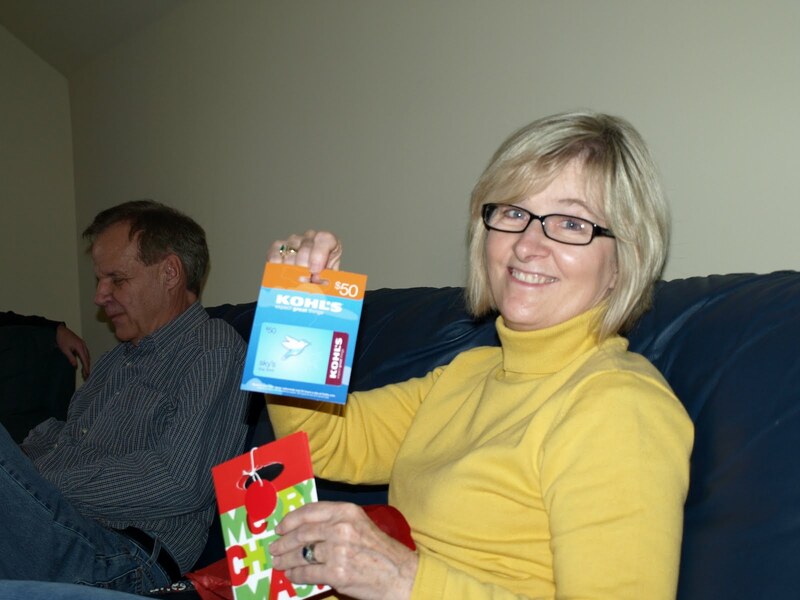 Mom excited to get another gift card. Decorating cookies for Santa with the boys. Why am I the only one smiling in this picture? I love this picture of Carter. Such a true depiction of Seth. 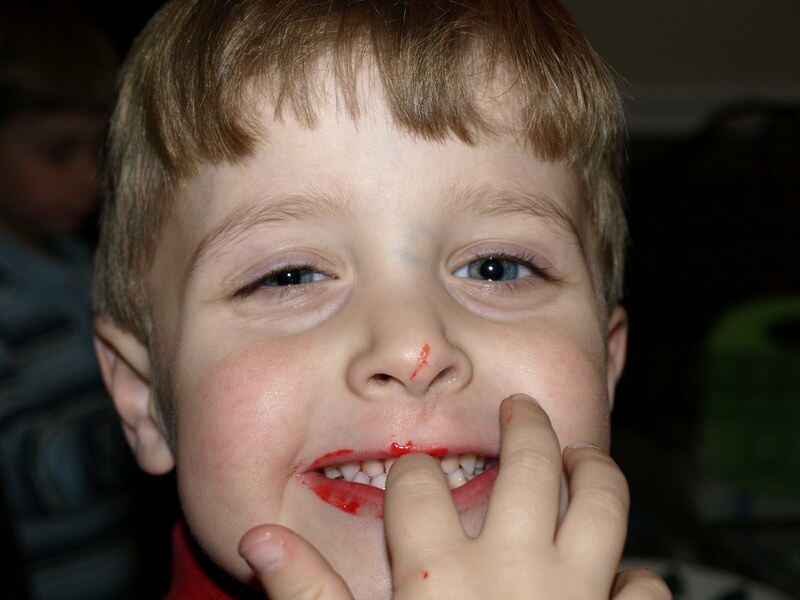 Can you tell he ate more frosting than he put on the cookies? 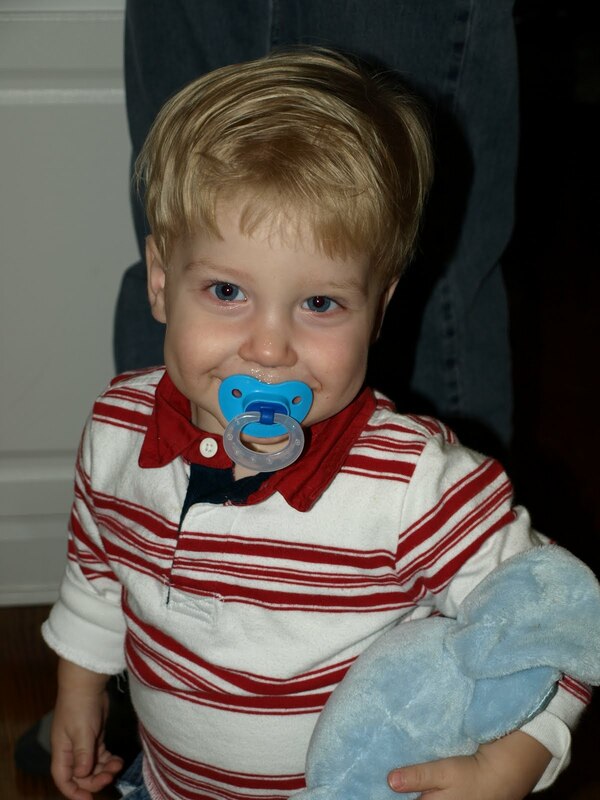 His two favorite things right now – his paci and his dog lovey. He won’t go to sleep without both. 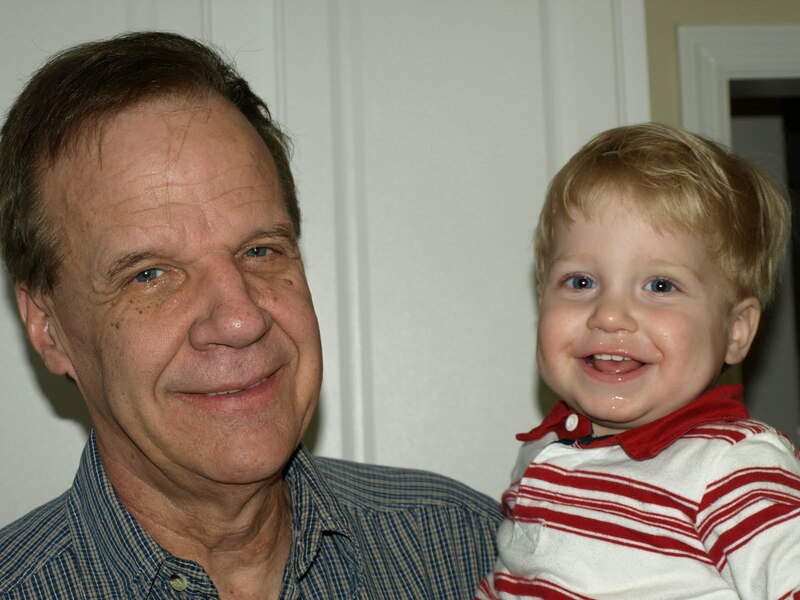 Ethan is a Papa’s boy! Family picture after the Christmas Eve service. Carter was up at 5:30 ready to go downstairs. Ugh. This was especially early for Zach and I since we had been up most of the night with Ethan. He slept very little and it made for a very early morning. I made Carter stay in bed until 6:30, but he did not go back to sleep. We let him wake up Seth and Ethan and made our way downstairs. 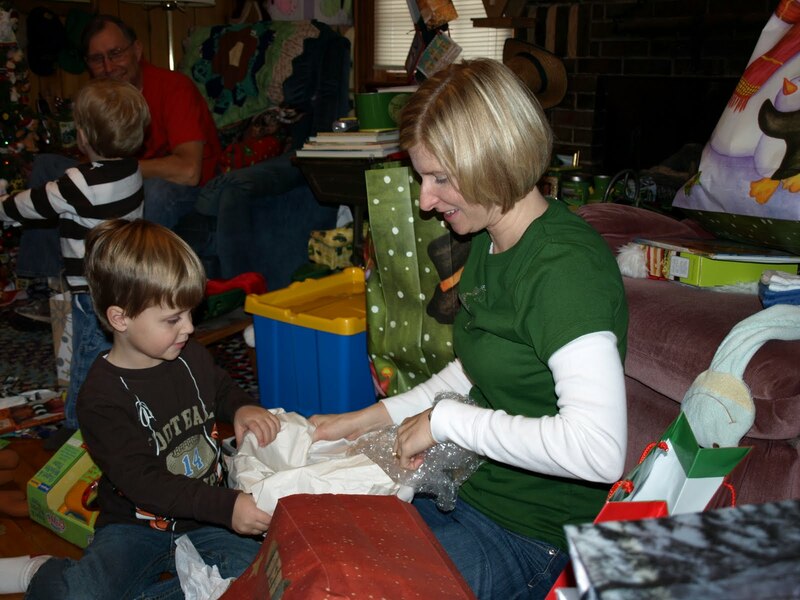 It is so much fun to see Christmas through their eyes. I love watching them explore everything that Santa left for them. They were super excited to see the Wii that Santa brought. They spent most of the morning playing the wii and were super excited when Zach’s side of the family got here to celebrate. Zach’s mom and dad, aunt, uncle, and cousins came down to spend the day. We had a lot of fun playing the wii, playing with the boys’ new toys and just visiting with each other. 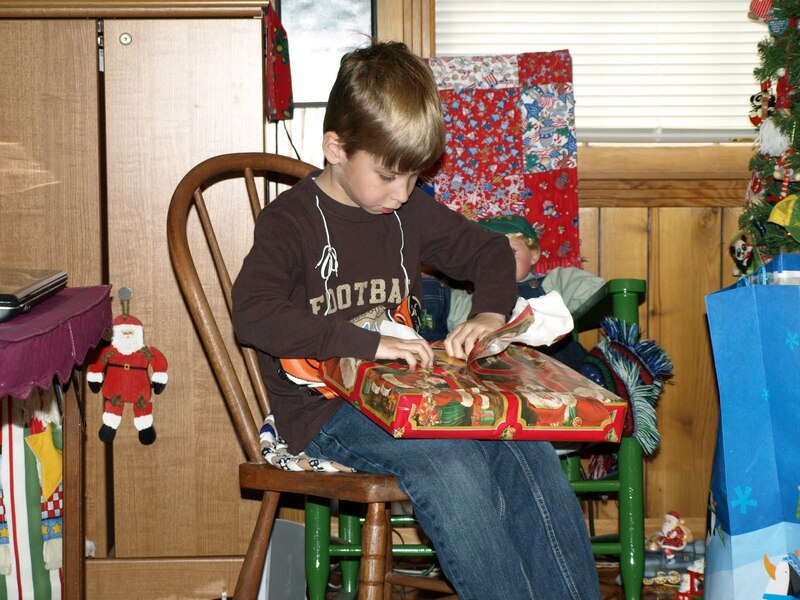 Unbelievably, not a single picture was taken after Christmas morning. I guess we were so busy that we never even thought about it! Seth got a dragon fortress (pictured), Star Wars tank and figures, Hidden Picture book, scarf, hat, mittens, and several other things in his stocking. Carter loved his new Nerf gun, Star Wars ship and figures, math workbooks, Clone Wars Tag book, mittens, and other things in his stocking. Wow – Ethan’s hair is crazy! It was such a rough night! 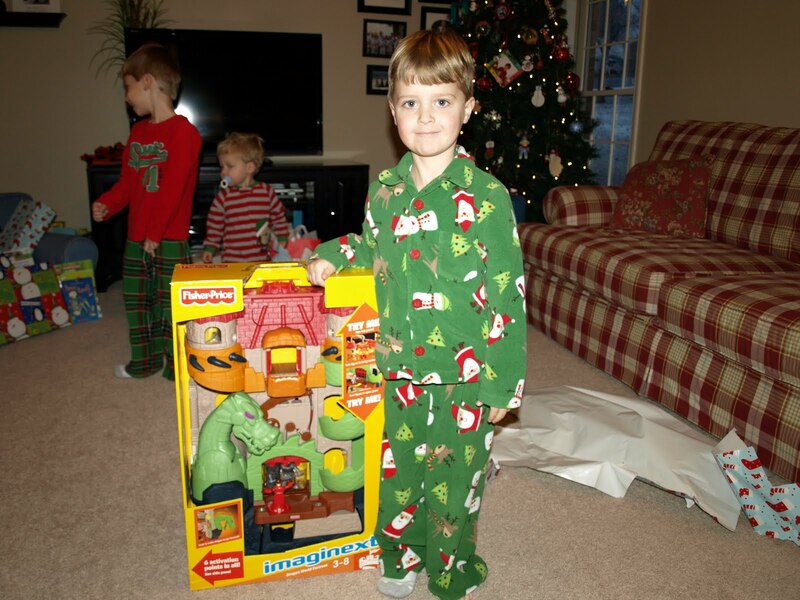 Ethan loved his new dump truck, books, zhu-zhu pets, and stocking stuffers. 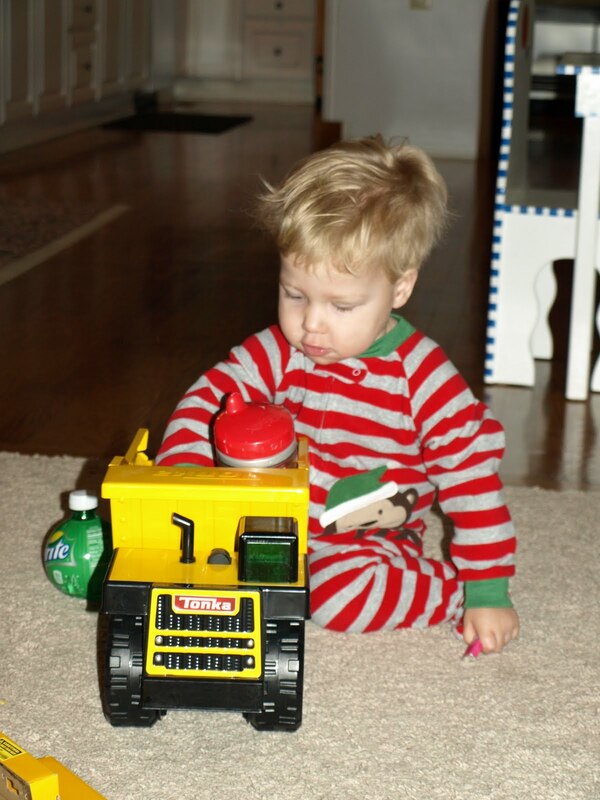 Ethan carrying around his sippy cup in his new dump truck. 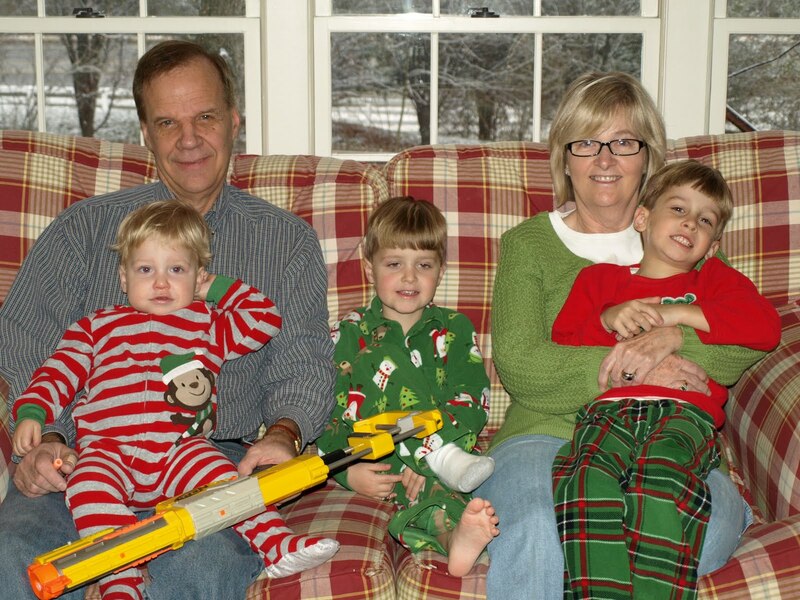 Mom and Dad came over Christmas morning to see all the boys’ new toys. I got this cute shot before they headed back home for the day.